Homes like the San Ysidro Ranch you can OWN! The story of San Ysidro Ranch is told through the history books of Old California. Nostalgia, romance, legend, and myth intertwine here, creating the ambiance that makes the Ranch an icon of California and one of the world’s most desirable retreats. With 500 acres and 17 miles of magnificent hiking trails through lavender, jasmine, orange blossoms, and eucalyptus nestled between the mountains and ocean, San Ysidro Ranch is an oasis of calm and tranquility surrounded by incredibly landscaped gardens. Everyone from Audrey Hepburn, Winston Churchill, JFK and Jackie (honeymoon), Sir Laurence Olivier and Vivian Leigh (midnight nuptials), to rock stars, politicians, actors, and writers have called it home. Intimate cottages wind around lush gardens, each individually decorated with antiques; stone fireplaces; oak floors; large private decks, many with indoor/outdoor rain showers; sunken hot tubs; heated floors; and private gardens. The San Ysidro Ranch is a luxury in seclusion and pure nirvana. 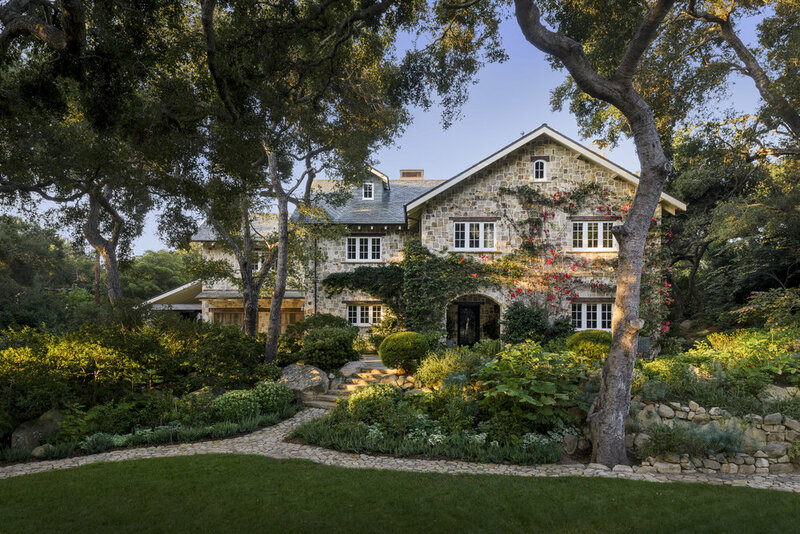 THIS FRENCH INSPIRED FARMHOUSE, BEAUTIFULLY BUILT IN 2006 AND THOUGHTFULLY ELEVATED DURING 2010-11.871 OAK GROVE DRIVE PAIRS THE LIGHT AND ROMANCE OF PROVENCE WITH INCREDIBLY LAYERED GARDENS AND AN ADVANCED SMART-HOME AUTOMATION SYSTEM. Incredible mountain views, a charming patio and a bubbling, natural stone water element greet you at the front portico. 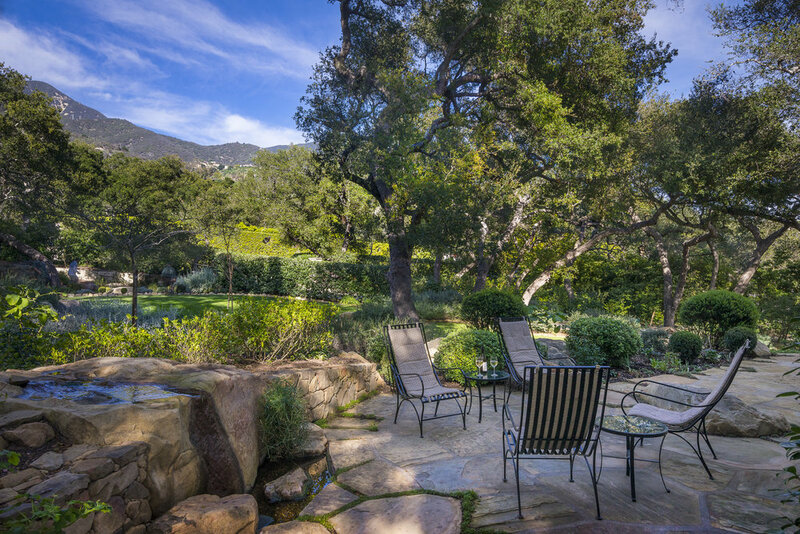 The north patio provides a serene mountain view and overlooks the gardens, designed by the renowned San Ysidro Ranch landscape architect Laurie Lewis, giving a wonderful sense of arrival as you enter the home. Perfectly located in the Golden Quadrangle, 871 Oak Grove seamlessly blends old world charm, cutting-edge technology and an ever evolving natural environment to create a living experience that is as effortless and timeless as it is sophisticated and innovative.